Facts: Dr. Aloys Wobben engaged in the manufacture of wind-turbines under the name of Enercon GmbH was carrying on the said manufacturing process, through a joint venture partnership with the respondents. The Indian enterprise was carried on in the trade name of Enercon India Limited. Enercon India was originally carrying on its manufacturing process, in furtherance of licences granted by the appellant. The last such agreement was executed on 29.9.2006 and was terminated by Enercon GmbH, on 8.12.2008 due to the non-fulfilment of the obligations contained therein. It was alleged that despite the termination of all intellectual property licence agreements with Enercon India, respondents continued the use of the appellant’s patents. Enercon India filed 19 revocation petitions before the Intellectual Property Appellate Board (IPAB) under Section 64(1) of the Patents Act, 1970 in January 2009 for the patents held in the name of the appellant. Appellant in turn filed in all 10 patent infringement suits. Enercon India also filed 4 further revocation petitions before IPAB, after the appellant’s institution of the patent infringement suits. A number of revocation petitions filed by the respondents, were settled by the IPAB despite which the same issues were re-agitated by the respondents, before the High Court, through counter-claims. Issue: That the defendant in an infringement suit, having raised a counter-claim seeking revocation of a patent, the validity of such a challenge can be determined only at the hands of the High Court, while dealing with the counter-claim. The IPAB would after the filing of the counter-claim in the infringement suit, cease to have the jurisdiction to adjudicate upon the validity of the patent. 1) On a petition by “any person interested”. 2) On a petition of the Central Government. In case of the above two options, the petition for revocation would lie before the IPAB. 3) By way of a counter-claim in a suit for infringement of a patent. The third option is adjudicable only by the jurisdictional High Court. In view of the mandate contained in the provisions of the Patents Act, the locus standi for revocation of a patent, is available to three different entities, namely, “any person interested”, “the Central Government”, and to a defendant in an “infringement suit” by way of a “counter-claim”. Depending on the specific part of the provision relied on, such challenge is permissible before two different fora, i.e., the IPAB, or the jurisdictional High Court. The court observed that a perusal of Section 25(1) of the Patents Act revealed, that “any person”, and not just a “person interested” (as in the case of Section 64 of the Patents Act), can “represent by way of opposition” against an application filed for the grant of a patent. This opportunity, has been made available, even before a patent has been granted. This opposition to the grant of a patent materializes, after an application for the grant of a patent has been published. A perusal of Section 25(2) reveals that only a “person interested” and not “any person” (as in the case of Section 25(1) of the Patents Act) may challenge the grant of a patent, within one year of the publication of such grant, by issuing a “notice of opposition” to the “Controller”. A challenge to the grant of a patent, through a “notice of opposition” is available, on all the grounds of challenge permitted to oppose, an application for the grant of a patent under Section 25(1). On the subject of locus, therefore, Section 25(2) and Section 64(1), are alike, inasmuch as, the locus to raise a challenge to a patent granted, lies with “any person interested” in both of these provisions. When a challenge is raised at the pre-grant stage, under Section 25(1) of the Patents Act, the same is liable to be determined at the hands of the “Controller”. An order passed by the “Controller” can be assailed by way of an appeal before the IPAB. When a challenge is raised under Section 25(2), the same has to be examined, in the first instance, by an “Opposition Board” contemplated under Section 25(3). The recommendations made by the “Opposition Board” are then to be placed before the “Controller” for consideration. After issuing notice to the patent-holder, and after affording an opportunity of hearing to the patent-holder, the “Controller” is required to pass the final order, on a notice of opposition filed under Section 25(2). Such order passed by the “Controller” is assailable by way of an appeal, before the “Appellate Board”. A challenge raised by “any person interested”, under Section 64(1), is liable to be adjudicated, at the very first instance, by the “Appellate Board”. If in response to an “infringement suit”, the defendant files a “counter-claim” seeking the revocation of the concerned patent, the said process of adjudication would lie before the jurisdictional High Court (proviso to Sections 64(1) and 104 of the Patents Act). The court held that Section 64 is prefaced by the words “Subject to the provisions contained in this Act” and not by the words, “Without prejudice to the provisions contained in this Act”, or “Notwithstanding the provisions contained in this Act”. The words with which the legislature has prefaced Section 64, necessarily lead to the inference, that the provisions contained in Section 64 are subservient to all the other provisions contained in the Patents Act. Therefore, no interpretation can be placed on Section 64 of the Patents Act, which will be in conflict with, any other provision(s) of the Patents Act. Thus, if any proceedings have been initiated by “any person interested”, under Section 25(2) of the Patents Act, the same will eclipse the right of the same person to file a “revocation petition” under Section 64(1) of the Patents Act. And also, to invoke the right granted under Section 64(1) of the Patents Act, to file a “counter-claim” (in response to an “infringement suit”, to seek the revocation of a patent). The court observed that that the term “person interested” has been defined in Section 2(1)(t) of the Patents Act to mean one who is “engaged in, or in promoting, research in the same field as that to which the invention relates”. Simply stated, a “person interested” would include a person who has a direct, present and tangible interest with a patent, and the grant of the patent, adversely affects his above rights. A “person interested” would include any individual who desires to make independent use of either the invention itself (which has been patented), or desires to exploit the process (which has been patented) in his individual production activity. Therefore, the term “any person interested” is not static. The same person, may not be a “person interested” when the grant of the concerned patent was published, and yet on account of his activities at a later point in time, he may assume such a character or disposition. It is, therefore, that Section 64 of the Patents Act additionally vests in “any person interested”, the liberty to assail the grant of a patent, by seeking its revocation. The court also observed that even though more than one remedies are available to the respondents in Section 64 of the Patents Act, the word “or” used therein separating the different remedies provided therein, would disentitle them, to avail of both the remedies, for the same purpose, simultaneously. The court recorded in passing that the determination of the “counter-claim” would usually be with the superior forum. However, the court determined based on harmonious construction that where an issue is already pending adjudication between the same parties, in a Court having jurisdiction to adjudicate upon the same, a subsequently instituted suit on the same issue between the same parties, cannot be allowed to proceed. Therefore, if the respondents in their capacity as “any person interested”, had filed a “revocation petition” before the institution of an “infringement suit”, they cannot be permitted to file a “counter-claim” on the same cause of action. The natural conclusion in the above situation would be, the validity of the grant of the patent would have to be determined in the “revocation petition”. Therefore, in the above situation, while the “revocation petition” will have to be permitted to be pursued, the “counter-claim” cannot be permitted to be continued. 1) if “any person interested” has filed proceedings under Section 25(2) of the Patents Act, the same would eclipse all similar rights available to the very same person under Section 64(1) of the Patents Act. This would include the right to file a “revocation petition” in the capacity of “any person interested” (under Section 64(1) of the Patents Act), as also, the right to seek the revocation of a patent in the capacity of a defendant through a “counter-claim” (also under Section 64(1) of the Patents Act). 2) if a “revocation petition” is filed by “any person interested” in exercise of the liberty vested in him under Section 64(1) of the Patents Act, prior to the institution of an “infringement suit” against him, he would be disentitled in law from seeking the revocation of the patent (on the basis whereof an “infringement suit” has been filed against him) through a “counter-claim”. 3) where in response to an “infringement suit”, the defendant has already sought the revocation of a patent (on the basis whereof the “infringement suit” has been filed) through a “counter-claim”, the defendant cannot thereafter, in his capacity as “any person interested” assail the concerned patent, by way of a “revocation petition”. The court therefore held that it would be convenient for the parties concerned, to agree to resolve the disputes before a singular adjudicatory authority. That will also be convenient for the concerned adjudicatory authority. Accordingly, for convenience of the parties concerned, it would be open for them by consent, to accept one of the remedies, out of the plural remedies, which they would have to pursue in the different cases, pending between them, to settle their dispute. 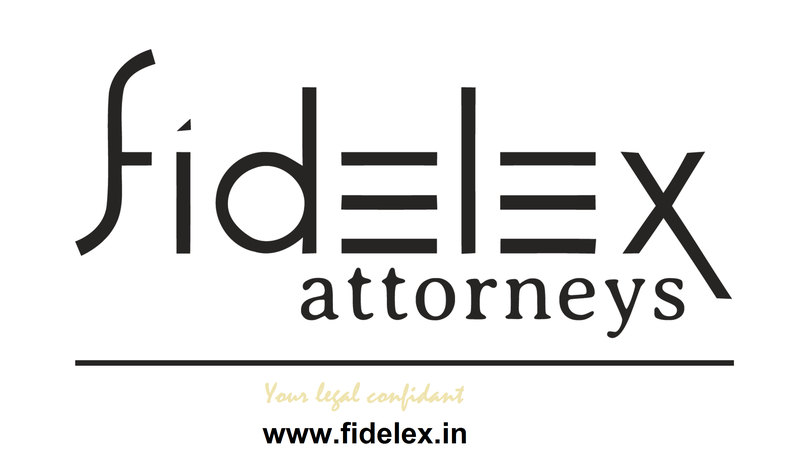 Having consented to one of the available remedies postulated under law, it would not be open to either of the consenting parties, to seek redressal from a forum in addition to the consented forum. This entry was posted in Intellectual Property and tagged Enercon India, Patents Act. Bookmark the permalink.